The Women in Nuclear (WiN) Australia Annual General Meeting will be held on 17th November 2017 at the AINSE Theatre, Lucas Heights at 12.00pm. 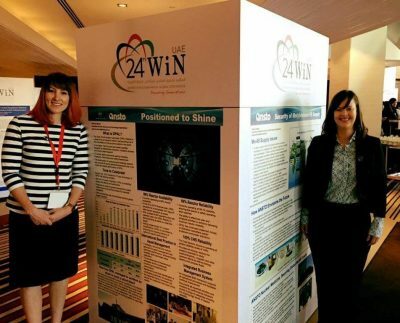 The AGM will be followed by a presentation by WiN member Katrina Van de Ven on her poster at the recent WiN Global Conference held in China. 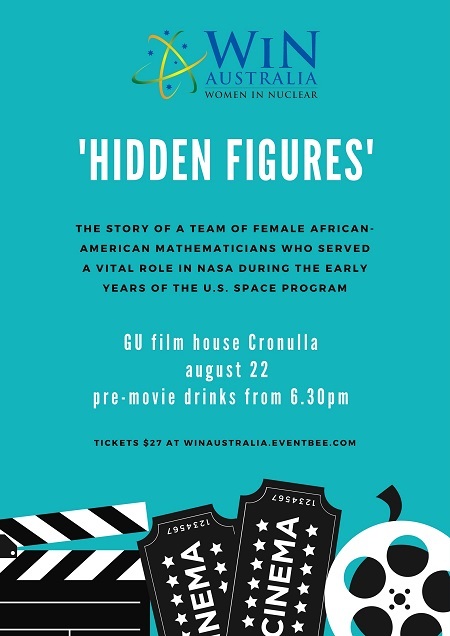 If you wish to attend please contact us on winaustralia@gmail.com for futher details and information. 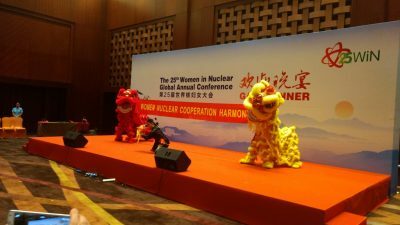 On 28 August to 1 September 2017, Jo Lackenby, Katrina Van de Ven and Jasmin Craufurd-Hill were among 350 delegates from 32 countries who met in Beijing, China under the theme ‘Women, Nuclear, Cooperation and Harmony’ for the WiN Global Annual Conference. 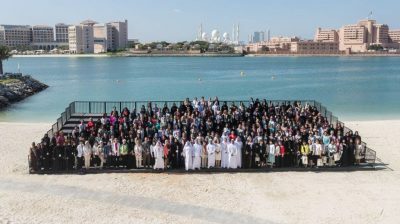 WiN Global 2017 highlighted the need for its members to continue communicating the benefits of nuclear energy to the wider public in order to oppose increasing efforts by the anti-nuclear community to eliminate this source of clean energy from countries’ energy portfolios. While this message came at a time when there was a decline in nuclear in some countries (e.g. Germany, Japan, Switzerland , Korea) other countries (e.g. UAE, China, Russia, UK) are embracing nuclear . Participants were able to undertake technical tours to the Centre of Excellence on Nuclear Security, the CAP 1400 Project and the HTGR reactor in Rongcheng and the AP1000 Project in Haiyang. 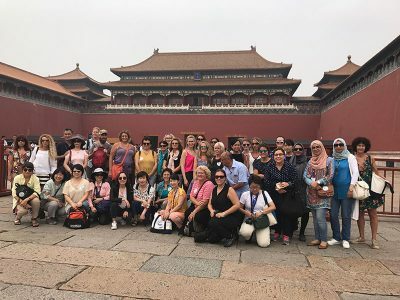 In addition, a packed social program included visits to the Great Wall of China and the Imperial Palace as well as the Big Show at the Beijing Liyuan Theater. During November as part of the value of “trust and respect” the Australian Nuclear Science and Technology Organisation (ANSTO) has run a number of sessions on Gender Equity.One of these events was a women’s networking lunch held on 13th November 2015. Many members of Women in Nuclear Australia are employees of ANSTO.ANSTO has a female workforce that comprises approximately 29% of the total workforce.As a way for women to create more contacts with each other, ANSTO held a lunch, sponsored by the CEO Dr Adi Paterson, on Friday 13th November to help “strengthen women’s networks”.All female staff on the site were invited to attend and over 130 (plus a few children) attended and connected. This was a chance for many of the women who don’t know each other or may work in isolation to make new networks. But they worked for their lunch, answering questions around challenges they face, the kinds of events they want to see and what equity means to them.As part of the day, all attendees were able to sign up to Women in Nuclear which has resulted in more than 60 new members for Women in Nuclear Australia. 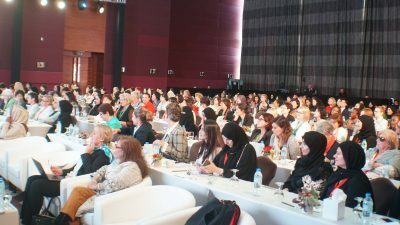 Those in attendance also had an opportunity to meet and listen to Kate Aitken, Managing Director, Human Capital Management for Asia Pacific at Goldman Sachs who has been involved in their successful gender equity programs for many years.She is a member of Chief Executive Women and was an implementation leader for the CEO of Goldman Sachs in Australia in the Male Champions of Change program. Women in Nuclear Australia will be working with the ANSTO Gender Equity team in 2016 to deliver a program of mentoring and networking events to further strengthen the professional development and opportunities for the women in Australia who work in nuclear. 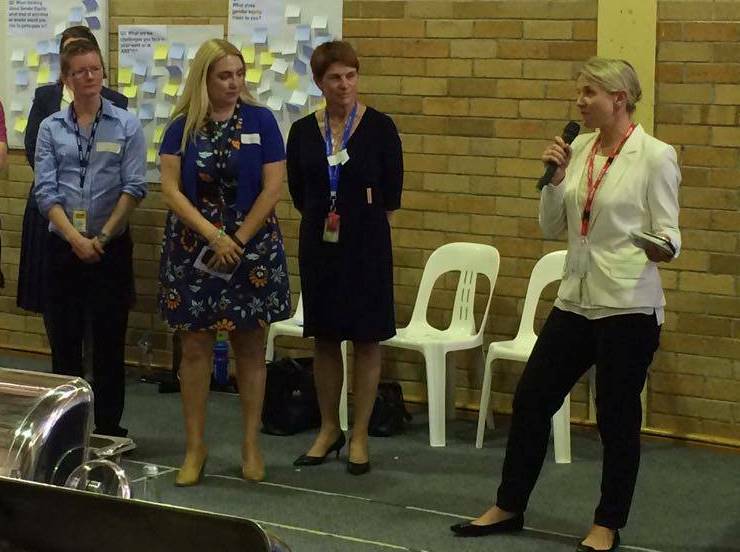 L-R Jo Lackenby (WiN Australia President), Samantha Arkapaw (ANSTO Gender Equity Team, WiN member), Karen Wolfe (ANSTO Gender Equity Team, WiN member), Kate Aitken (Managing Director Goldman Sachs). The Uranium Mine Tour will occur on the 25th of October 2014, departing from Darwin at 6am and including the possibility for a scenic boat/flight tour of the World Heritage Listed Kakadu National Park. There are a finite number of seats still available should participants wish to join this one-off experience for WiN-2014 participants and their guests! Please contact us via e-mail should you wish to update your registration. Registration has now opened for the 2014 WiN Global Annual Conference to be held from the 20th-24th of October 2014 at Dockside, on the Balcony Level of Cockle Bay Wharf, located on the CBD side of Darling Harbour in Sydney Australia. 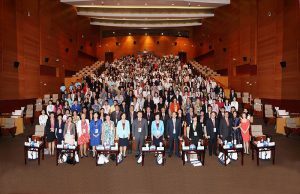 This represents the first time that a WiN Global Conference has been held in Australia and only the third time it has been held in the Southern Hemisphere, along with Indonesia in 2007 and South Africa in 2013. 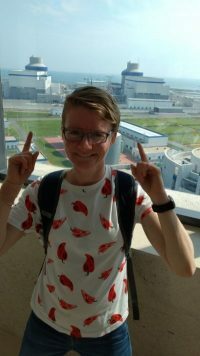 This is the premier international event for women working in all applications of nuclear science and technology and presents a unique opportunity for members to network, exchange ideas, visit technical facilities and gain an understanding of new technologies and facilities around the world. The programme will be composed of the WiN General Assembly, technical conferences, workshops, gala dinner and both technical and cultural tours where global members can experience an overview of Australia. Conference Tour options include sunset harbour cruises, australian wildlife zoo visits, free walking tours of Sydney and technical tours to the Australian Synchrotron and the Australian Nuclear Science and Technology Organisation (ANSTO). We encourage WiN members and potential attendees to follow WiN Australia’s social media and this website for further details on the conference, abstract deadlines, technical workshop details, facility tour requirements and for keynote speaker announcements. We look forward to saying “G’day” in Australia! The Registration Form for WiN2014 can be accessed by clicking here. The Abstract Submission Form for WiN 2014 can be found by clicking here. The draft programme for WiN 2014 can be found by clicking here.